Sales of property in Spain continue on the rise. According to data from the National Statistics Institute (INE), sales of homes in Spain in March amounted to 40,461 transactions, the best figure since February 2011, when 45,107 properties were sold in Spain. While the number of second-hand property in Spain sold increased by 28.3% to a total of 33,100 homes, new build property experienced an increase of 21.2%, with 7,361 new properties sold. Home sales went up in all Spanish regions in March with Andalucía leading the growth (7,976 sales), followed by Cataluña (6,832), Costa Blanca and Comunidad Valenciana (5,854) and Madrid (5,684). 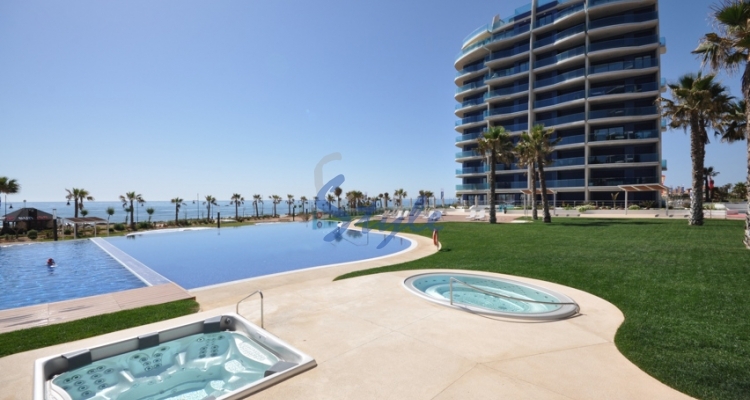 Costa Blanca South is a very popular location to buy property where you can find traditional Spanish properties for sale as well as new build property with a contemporary feel. This is definitely a great place to own a holiday home but also to live all year round. Not only will you be close to some of Spain's best beaches but also a short drive from all kind of facilities and amenities to make your life easier. If you too are looking to buy property on the Costa Blanca, let us show you what E-Style has available for sale.